Phase One Alert is an extremely exclusive service that offers quality research and recommendations on the most under researched stocks in the universe of listed small caps - giving its subscribers first mover advantage on these companies. As you know, successful investing is not just about investing in good businesses, but doing so at the right price. Over the years, with more and more money chasing limited number of listed securities, we believe that the overall valuations for visible, known businesses are already pricing in most of the positives, thus limiting the potential upside from these stocks. So how does one generate significant alpha (excess returns over benchmark) returns? To do so, one needs to differentiate stock selection skills. One of the ways to achieve this, we believe, is to look for fundamentally strong businesses that broader markets have not caught a whiff of yet... Stocks and businesses that despite having great fundamentals have not been featured/ talked about/covered in the financial magazines, newspapers, financial news channels and have escaped the attention of big and small investors. First of all, it’s quite likely that you would never have heard of the names of such companies. Second, there is very little information/research on these small companies to give one enough conviction about investing in them. Phase One Alert intends to plug this gap in equity research and exploit this market inefficiency to generate above average returns. The Phase One Alert team will scour the under researched and thinly traded universe of listed stocks in different sectors for fundamentally strong businesses. We intend to travel extensively; meet managements and understand these businesses, the industry and competitive landscape. Through diligent and boots on the ground research, we aim to filter out unstable and risky businesses, and recommend to you the most stable businesses with solid growth potential whose stocks trade at discount to the intrinsic value and that are driven by ethical and passionate promoters. We believe that upside over the long term in these stocks could be huge. As a subscriber, one could not just benefit from the upside due to company’s growth, but will also be able capitalize on the re-rating potential in future when broader markets acknowledge these opportunities. In short, we want to offer you the first mover advantage in picking up a great business at undemanding valuations... and it would be this edge that we believe will guide you outdo broader markets in returns. Who is the editor of Phase One Alert? The editor of Phase One Alert is Richa Agarwal, Research Analyst and the Managing Editor of Hidden Treasure since 2013. Richa has over 9 years of experience as an equity research analyst. She has a proven track record and understands the nuances involved in analyzing a vast set of different businesses. 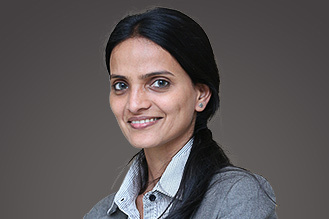 She routinely scours the small cap universe and has travelled extensively across India with the Hidden Treasure team to identify fundamentally strong companies trading at attractive prices. Her strong belief that paying a slight premium for wide-moat companies is better than looking for cheap bargains has helped her avoid companies that could turn out to be value-traps. Having degrees in both finance as well as engineering has served her well in analyzing business models across the small cap space. Further, we have a dedicated and well experienced team to help understand every aspect of the underlying business. What is your stock selection process? Meeting the managements to understand the business models, the key operational metrics, industry dynamics, competitive scenario and the entire value chain in great detail. Finally, only the stocks that are trading at a discount to the intrinsic value will be recommended. How is Phase One Alert different from existing small cap recommendation service - Hidden Treasure? The key difference between Phase One Alert and Hidden Treasure is the type of stocks that we aim to recommend via these services. In case of Hidden Treasure, a service which was launched in 2008, our aim is to recommend small cap stocks that have the potential to become the blue chips of tomorrow. In Phase One Alert, on the other hand, we are on the lookout for stocks that we believe are fundamentally strong and have the potential to do exceptionally well in the years to come. Such stocks are likely to be unknown to most. How many ideas / recommendations expected in Phase One Alert? There is no upper limit to the number of recommendations in a year under Phase One Alert. That said, minimum five actionable ideas will be shared with subscribers over the year. What is the universe of stocks for Phase One Alert? Our universe of stocks includes thinly traded fundamentally strong companies which are listed on either BSE or/and NSE, which we believe are unlikely to be well researched by the broader markets. We aim to catch great businesses at a very young stage, and expect to recommend stocks that have the potential to offer a minimum 25% CAGR returns over a minimum of three to five-year period. These are as per conservative estimates and valuations. Through Phase One Alert, we aim to outperform broader markets significantly. While we do not promise a 100% success ratio, in the long term, we expect the returns from Phase One Alert to be a lot higher than Hidden Treasure. Having said that, returns from stocks are subject to market risks, and Phase One Alert recommendations will not be an exception to this. What is the tenure for Phase One Alert recommendations? At Equitymaster, we are of the opinion that big money could be made in buying right and then sitting patiently over a long period of time. Please note that our time horizon is long term and that we expect our subscribers to have the same frame of mind. The investment horizon of Phase One Alert recommendations is 3 to 5 years. If the business turns out as we envisage, it will make sense to hold them for even longer so that one can capitalize on the re-rating potential. What is the frequency of recommendations in a year? Since Phase One Alert will only have actionable (Buy) recommendations, there is no predetermined frequency of the recommendation reports. We will recommend the stocks as and when we believe the valuations are attractive enough. As such, there could be a month when we have more than one recommendation, or there could be one where we have none. How does one contact the research team in case one has query?